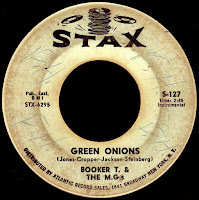 As you may know, the Stax label has been re-activated by something called The Concord Music Group. They have also begun an ambitious re-issue campaign of the company's incredible wealth of music to commemorate it's fiftieth anniversary. Like all things Stax (or all things Memphis, for that matter), this hasn't happened without its share of controversy (witness the lively exchange that's been going on over at The Memphis Sound: Lost and Found). Be that as it may, I thought we'd take a look at the engine that drove all that soul, the one and only Booker T. & The M.G.'s. Like the muddy Mississippi that winds its way through town, Memphis music runs deep. Drawing on the rich Blues and Jazz heritage that defined the first half of the century, the 1950s saw the emergence of tight R&B big bands that packed clubs like the Plantation Inn and the Flamingo Room every night. Bands led by Tuff Green, Bill Branch, and Al Jackson, Sr. became proving grounds for a generation of musicians. A trumpet player named Willie Mitchell would come up out of those outfits, and lead his own "Jumpin' Band" which would eventually feature Al Jackson's son on the drums, and one Lewie Steinberg on the bass (both pictured, along with 'Poppa Willie', above). The cool white kids in town, meanwhile, were sneaking out nights to hang around in the parking lots of these clubs, drinking beer and just soaking it all in. 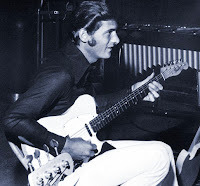 One such kid was named Steve Cropper, who had formed a band of his own while still in High School called The Royal Spades, with his best friend Donald 'Duck' Dunn on the bass. A classmate of theirs at Messick High was learning to play the saxophone and, after the Spades found out his mother and uncle had recently opened a recording studio, they let him join. Charles 'Packy' Axton's honking sax changed everything, and soon they were playing nothing but R&B. They ended up liking the sound so much that they brought in two more horn players, Don Nix on baritone, and a kid named Wayne Jackson on the trumpet. 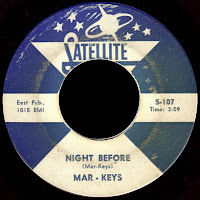 This band, which would also feature the legendary Charlie Freeman on guitar and Terry Johnson on drums, would soon change their name to the Mar-Keys. They had been hanging around Packy's uncle Jim Stewart's studio out in Brunswick, and trying to come up with something for months, but weren't having much luck. 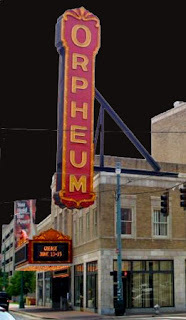 Once the operation was moved to an old movie theater on McLemore Avenue in East Memphis, things started to happen. 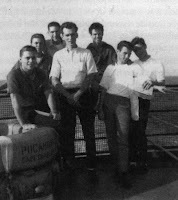 Although the actual circumstances are (once again) a matter of controversy, in the spring of 1961 most of the Mar-Keys hunkered down with Stewart's partner Chips Moman to record the elemental Last Night. Some claim that there are as many as 86 splices in the master tape, and that it was put together from so many different sessions, with so many different musicians, that it's impossible to tell who's playing what (interestingly, if you listen to the record, there's no guitar on it at all. Steve Cropper is supposedly playing some of the keyboards). The record, in the tradition of Memphis Instrumentals like Bill Black's Smokie Part Two, was just a monster, blaring from every car radio as it cruised its way to #2 R&B (#3 pop) that summer (This is also the record that caused the name change from Sattelite to Stax, as some west coast label had already registered the name). This all-white twenty something band of rowdy kids was suddenly headlining at The Apollo, as well as playing every backwater chitlin' circuit club in the south. They were out there about two years on the strength of their big hit, and the party just never stopped. Cropper, meanwhile, left the band to concentrate on the studio. He had been working at Estelle Axton's record shop in the lobby of the old theatre, and his move back to the studio, although gradual, was now permanent. He became a fixture, showing up early and leaving late, while learning all he could about how things worked. Chips Moman, who had recorded his own local instrumental hit, Burnt Biscuits, with his band The Triumphs that fall, helped him figure it all out. 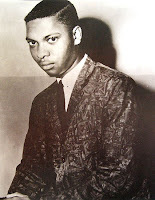 Booker T. Jones, meanwhile, had come up as a student at Booker T. Washington High School, playing every instrument he could get his hands on. He had begun hanging around Axton's record shop as well, and it wasn't long before he was playing on sessions for the company (his baritone sax can be heard on their first local hit, Carla & Rufus' 'Cause I Love You). 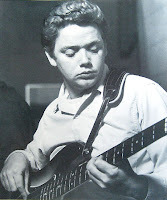 He was also sitting in with Willie Mitchell's and Bowlegs Miller's bands, where he first worked with Al Jackson, Jr.
Jackson, who had started playing drums as a kid in his father's band, was considered the best stick-man in town, and Moman and Cropper were thrilled to have him. His first session for the company was behind former Sun star Billy Lee Riley in the summer of 1962. Along with fellow Mitchell band member Lewie Steinberg (who had been playing bass at STAX since the Last Night marathon), Jones and Cropper, they began stretching out and jamming a little bit after the final take. Jim Stewart was impressed with what he heard and started the tape rolling. The exact details are (of course) a little fuzzy, but the two sides they came up with were good enough to release, he thought, all they needed was a name. It was Jackson who came up with 'The M.G. 's', kind of in answer to Moman's 'Triumphs'. Originally released on their new VOLT subsidiary, Stewart wanted to promote Behave Yourself, a slow blues number, as the A side. When the local radio guys flipped it over and started playing Green Onions, it just took off. It was Jerry Wexler, fresh on the scene as the label's new distributor, who suggested they re-issue it on STAX to give the company more 'label recognition'. Yet another hit Memphis instrumental, it just ate up the charts, spending a month at #1 R&B that summer. One of the truly great songs of all time, it's scary how good it remains to this day. 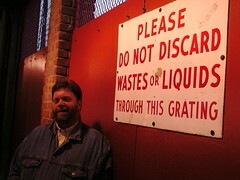 For whatever reason (maybe because they were too busy backing up everyone else at the label), the M.G. 's had trouble coming up with a follow-up record, as songs like Mo-Onions and Soul Dressing barely cracked the Hot 100. 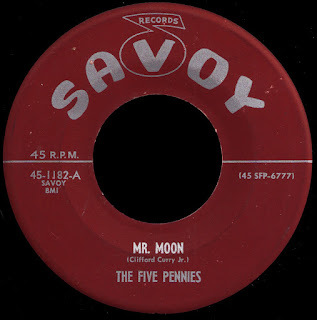 By late 1964, Lewie Steinberg was out of the band. Cropper has said that he "probably influenced it more than anything... it's sort of like Cropper got his way. I didn't want to hurt Lewie or put Lewie out or anything, even though it consequently turned out that way..."
Cropper's 'way' was to bring in old pal, and fellow Mar-Key, Duck Dunn into the fold as the M.G. 's new bass player. 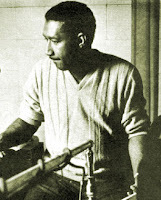 Dunn had left the Mar-Keys back in '62 to become the first white member of Ben Branch's big band, paving the way for the public integration of the music that had already been going on behind closed doors in the studio. The M.G. 's, now evenly split between black and white members, were back in the R&B top ten with Boot-Leg in 1965, and out there in the public eye. Unlike Motown's faceless Funk Brothers, the band that created all that steamy Stax soul were stars in their own right, with appearances on national television and the whole deal. They were cool, and in their own quiet way, a shining example of racial harmony at work. 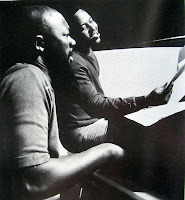 With the addition of songwriting team Isaac Hayes and David Porter, STAX grew to be a formidable presence, cranking out hits for the likes of Otis Redding, William Bell, and Sam & Dave, while developing their own unique brand of rock solid soul (while Booker was away at college, Hayes sat in for him on keyboards, and actually appears on a few M.G. 's records in his place!). Atlantic, as we all know, would bring Wilson Pickett and Don Covay down there in 1965 to try and capture some of the magic, before Stewart threw them out at the end of the year. At this point, I'd like to draw some attention to the horn players on those great records. Even though they were every bit as essential to 'that sound' as the M.G. 's or anybody else, they somehow get overlooked. 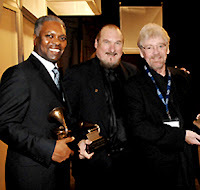 Anchored by former Mar-Key Wayne Jackson and Andrew Love, The Memphis Horns have played on hundreds of hit records. As The M.G. 's, Hayes and Porter became known as 'The Big Six' production team at Stax, Jackson and Love were somehow left out. With the fabled European Tour of the Stax/Volt Revue, and a return to the top ten with the great Hip-Hug-Her in 1967, the M.G. 's were on top. You know, the whole history of Stax is such a deep (and as I said, controversial) subject, that I can't really do it justice here in this space. 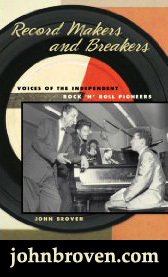 It's been examined in depth by Rob Bowman in the essential Soulsville, USA, a book you need to read. Suffice it to say that, after Al Bell was brought in, things on McLemore Avenue started to change. When Otis Redding's plane went down in December of 1967, it sort of put a punctuation mark on the whole 'Atlantic era' at the label. After Atlantic was sold to Warner Brothers in January of 1968, Stax tried to negotiate a better deal with them, but to no avail. When they realized that the distribution agreement they had signed with Atlantic years before would give the larger company the rights to their entire back catalogue once they went their separate ways, they decided to leave anyway, apparently feeling that the best was yet to come. They then agreed to sell the company to entertainment giant Gulf + Western, believing they would be better able to market their 'product', and control their own destiny. 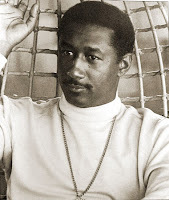 As Bowman says in the liner notes to The Complete Stax/Volt Soul Singles Volume Two; "As the sun arose in Memphis on May 6, 1968, STAX had been effectively gutted. 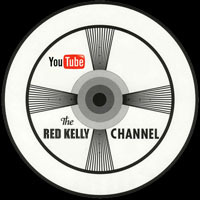 For all intents and purposes it was a new record company poised to issue its first few records." 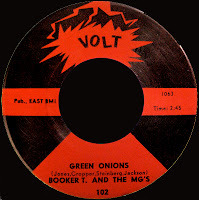 How fitting, then, that the very first release on the 'new' label (and the first to sport Bell's new 'snapping fingers' logo) was by Booker T. & The M.G.'s. Soul Limbo would break into the R&B top ten (top twenty Pop) that summer, and show the world that the little company still had it. The awesome tune we have here today was released as the B side of that single. Absolutely cookin' on all burners, I think it shows why they're considered to be one of the best bands of all time (remember that The Meters didn't even exist yet, and wouldn't for almost another year!). That organ, that guitar, the drums and bass... man, I just love this record! The M.G. 's would hit the top ten again the following year with the amazing Time Is Tight and, in keeping with Bell's new vision for the company, release four albums within a two year period. When Bell brought in producer Don Davis from Detroit in September of 1968, the proverbial excrement began to hit the fan. As we've mentioned before, when Bell made Davis 'Vice President in Charge of Production' (on the heels of the success of Johnny Taylor's Who's Making Love), the 'Big Six' felt they were being upstaged, and Isaac Hayes closed down the Stax office at gunpoint. Although they were all given the title of 'vice-president' after that, the damage had been done. Booker T. Jones vowed to never play a note for Davis, and by the summer of 1969, he was out the door. "I already saw the sinking ship," he told Rob Bowman, "I made a prediction... I remember looking Al Bell and Jim Stewart in the eye and telling them, 'If you're going to keep running the company the way you've been running it, it ain't gonna last, and I got to get out of here.' I was really upset that the family had been broken up..." Broken up, indeed. Booker moved out to California, and continued to work with the M.G. 's until late 1970, when even the thought of his records still being released on Stax became too much for him to bear. Unthinkably, Cropper himself would follow in 1971, as the company grew further and further away from the 'mom & pop' (or, more precisely, 'mom & uncle') enterprise it had once been. Dunn and Jackson hung in there, still working on sessions, and eventually recording an album as the M.G. 's with Carson Whitsett on keyboards, and Bobby Manuel on the guitar in 1973. On October 1, 1975, Al Jackson, Jr., returning home unexpectedly, was shot dead by an unknown assailant. Although the police believed they knew who did it at the time, the murderer was never charged. There are those who say that Jackson was the glue that held The M.G. 's together, and that any of their subsequent reunions are bound to fail because of that. I don't know. What I do know is that he was a pivotal figure in the history of 'The Memphis Sound', and that the body of work he left behind, both at Stax and at Willie Mitchell's Hi Records, is something that will never be equaled. He was, without a doubt, 'in the pocket', and one of the greatest drummers that ever lived. I've seen a few of those reunions in my time (my favorite being the 1990 NYC show I've mentioned before when Don Covay got me backstage...), and, hey, I'll take what I can get. Al Jackson's cousin, Steve Potts, has been their drummer now since 1994, and is doing a great job. The surviving original members were honored (as was Packy's mom, Estelle Axton) with a 'Lifetime Acheivement Award' at the Grammys this year, and their set at SXSW in Austin this spring drew rave reviews. They just completed two shows here in New York last week, backing up the great Sharon Jones. This coming Friday, June 22nd, they will be the centerpiece of the 50 Years Of Stax benefit at the Orpheum Theatre in Memphis, backing up a host of their old label-mates like Isaac Hayes, Eddie Floyd, William Bell, Mavis Staples, and Mabel John. Although the whole thing may be a little too 'corporate', and blah, blah, blah, I, for one, am not about to miss it. That's right, I'm outta here (again) forging my own seven days of soul as I swing low through the Deep South in search of new and exciting stuff to bring home and talk to you about. I bet you can't wait. I'll catch ya on the rebound! good food for thought. I appreciate your point about the club bands, their directors, and the effect on the soul generation of musicians in Memphis. The clubs and the high school music teachers in the city are the two underrated, unexplored building blocks of the Memphis sound. Thanks for the props to Lewie Steinberg! Talk about a forgotten man. Thanks for a great overview of a great band. Don't forget, they were the house band on most of the Stax music, so if you love Otis, Carla, William Bell, the Staple Singers, etc., you must love the MGs -- perhaps the greatest band ever (and I only realized this after seeing the movie about Motown's Funk Brothers, who might also be a contender). How was the concert? I am sad I didn't go, consoled only by the fact that I attended the great "Soul Comes Home" concert in 2003. The MGs were amazing then, too. The concert was part of the festivities opening the Stax Museum of Soul Music in 2003. A pre-concert seminar at the museum, featured Rob Bowman, Peter Guralnick, Al Bell, and Phyl Garland. I asked how the MGs got their name, and the group (like you) said it was a car-name, like the Triumphs. 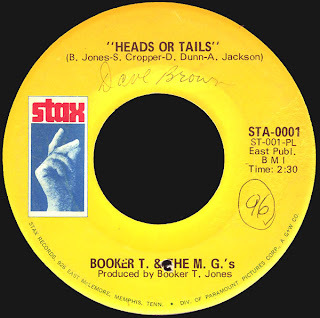 Interestingly, Joe Shamwell was in the audience and said when he joined Stax (he was a writer) he was told the group was not named after "Memphis Group" ... it was "Mixed Group"! I never heard this in all the material I have read (Bowman, Guralnick, etc.) nor do I remember thinking of them as an integrated band, just a great band. Sadly, Joe died last October 21. Again, thanks for a great blog. You hit the nail on the head with this one. Red -- great story about Stax. You are a gifted writer and chronicler of R&B music history! Keep up the good work! I hope you will be posting a blog with a play by play of the Stax 50th concert. Did the Mar-Keys ever have a Manager named Marty Simon who helped with getting their gigs? I, personally, have no idea... anybody else out there know?